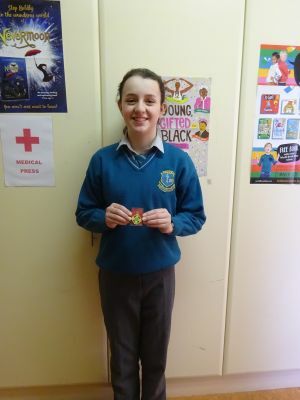 Congratulations to Holly and her partner Katie Brennan who recently competed in the girls U-12 Doubles Leinster Handball Final. The game was played in Cullohill and the girls were up against tough opponents from Laois. Holly and Katie were victorious in the final. Well played girls!